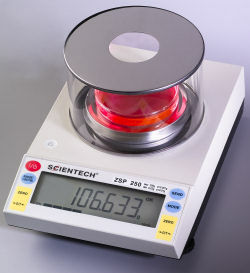 A new, revolutionary weighing technology has recently been developed by Scientech. Since this progressive technology is so exceptional, a patent has been filed and issued. In addition, this innovative technology is now the foundation for a new series of electronic balances which carry Scientech's "Zeta" trademark. The heart of the new Zeta Series is based on a direct-loading, electromagnetic, force-restoration cell concept, which differs dramatically from normal lever-configuration sensor designs. Thus Zeta models have a more elegant design with fewer moving parts. The result is a more rugged balance with an easily repairable, modular sensor while preserving high performance. 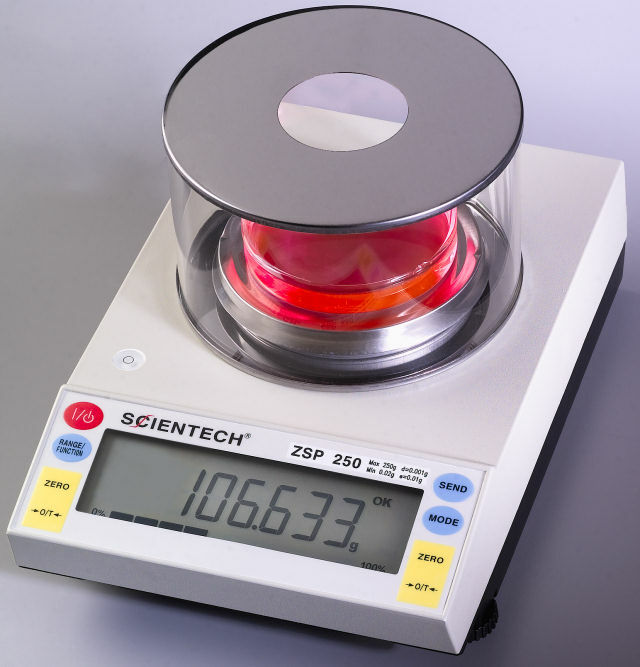 In addition, each unrivaled Zeta model is handcrafted in the USA and retains all the accuracy, durability, and user-friendly standard features you have come to expect from Scientech. The benefits inherent in the Zeta Series also empower Scientech to offer you a new North American 5-year warranty backed by Scientech's ISO901 certification.